Hello, and welcome to another Spectrum Sunday. We have had a difficult few weeks here, as I am sure many can relate. As well as getting back into the normal routine after our trip abroad, and getting back to nursery, we have been coping with assessments at the Child Development Centre. The two posts I have chosen to link this week are ‘School, school, stay away…an autism parent’s fears for starting school’ and ‘Special Wants or Special Needs?’ Please feel free to choose which one you would like to comment on. Many thanks to my co-host, Ann at Rainbows are too beautiful, for hosting the last linky. Remember, the linky runs once a fortnight, alternating hosting. We really want to make sure that everyone with a post gets to link up and so we will keep the it open for thirteen days – Sunday until the Saturday nearly two weeks later. Hopefully, this should mean that everyone can link up, even though the linky is every two weeks. 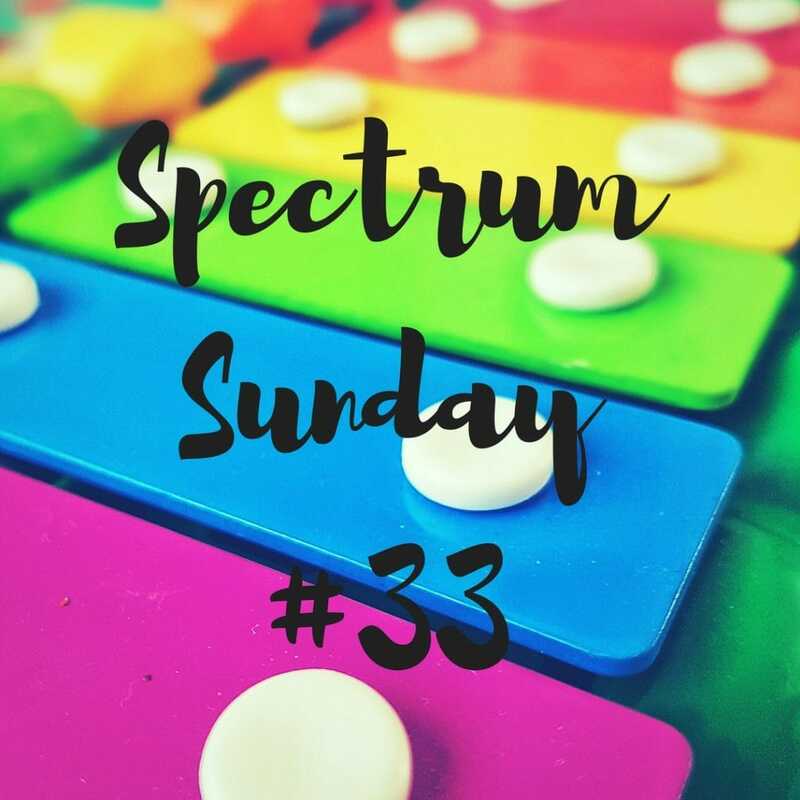 We would also like to remind you that you can use the hashtag #spectrum_sunday on Instagram (make sure you remember the underscore!) and check out the Spectrum and SEND Sunday board on Pinterest here. We pin everyone’s posts to the Pinterest board each week so do check out and re-pin any posts that you enjoy there too. Now, on to this week’s featured posts. Ann’s favourite post from the last linky was ‘Special needs parents: we all need support (even you)’ from My Home Truths. She loved this post because, although it feels like it is just you as a parent or individual that has to cope, it’s important to know that it is okay to ask for help. We aren’t all superheroes – but that’s alright. My favourite post from the last linky was ‘Back to school with autism’ by Steph’s Two Girls. I loved this post because it is the perfect mix of practical advice and emotional truth – and I think I see quite a bit of our future in it! Now on to the linky. Please do read the rules below and make sure you share the linky love by commenting on others’ posts. Remember, the linky is open to any autism, SEND or disability posts. Thank you – we look forward to reading your posts. The linky will run from 7am Sunday to 7am the Saturday 13 days afterwards, allowing everyone to link up and to get a wide range of posts now the linky is fortnightly. Then comment on the post before yours and more if you can! Please make sure comments are thoughtful and valuable – this subject is incredibly emotive and we all handle our daily struggle differently so kind and supportive messages only please. If you feel someone has been commenting negatively please let us know, and we will get in touch with them on your behalf. If you follow us, tag us, and add the hashtag #spectrumsunday to your tweets, we will retweet for you! Lastly, here is the linky badge to add to your posts. I am really looking forward to reading your posts. I hope we get lots of link-ups below!